It’s the RnB concert and party event of the year and it’s almost here! This is the only true RnB event of the summer and it’ll be like something you’ve never seen before. Brought to you by Poliakov Vodka and happening at the Form De Beyrouth on Saturday June 22, the historic night will surely be talked about for years to come. As with all of Akon’s concerts, the mood is more like a hot party, and everyone gets in on the action. There’s a special section for under 18 to ensure that everyone’s having a blast. The event will include a massive stage for the one and only Akon to perform on as well as a visual show with lasers, LED video walls, pyrotechnics and a lot of surprises that will blowy you away. Doors will open at 8 PM and the opening set will feature Radio One DJs Josh and Easy B, followed by Akon’s DJ Benny-Demus to warm up the atmosphere before Akon himself takes the stage. He’s set to perform all of his mega hit songs and as well a few hits-in-the-making from Akon’s upcoming new album Stadium. The huge party isn’t just a concert, as there’s going to be a wide array of entertainment, RnB and Hip Hop dancers, giveaways and more. Before saying goodbye to the Akon extravaganza show, the closing set will be performed by Radio One’s DJ Mark. The five-time Grammy-nominated, internationally multi-platinum recording artist has performed in Lebanon twice in the past decade and each time the crowd gives rave reviews. 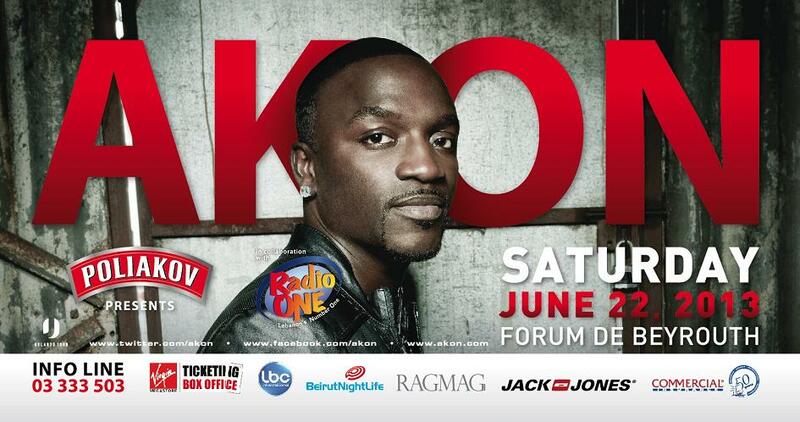 This year’s Akon concert live in Beirut is expected to be bigger and better than ever. See you there! Calling All Musicians, Hard Rock Café Beirut has an Amazing Opportunity Just for You!